It's a song by Pay Money to My Pain (P.T.P) x Taka from ONE OK ROCK~ This song lyric is written by Taka, and the title is "Voice". And for you guys who don't know yet about P.T.P, I will explain it. P.T.P is a japanese screamo band. 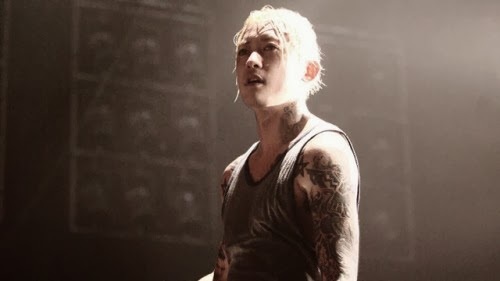 And then on December 30th, 2012, the vocalist, Kei Goto (as known as K), has passed away, when they were already recording their 4th album titled "Gene". So, the album will be released on Desember 30th 2013 which is the one year of K's death, with songs that K recorded before his death and songs by some of K's friends to pay homepage to K.
Why looking for answers, just leaves a question? mada mi nu mirai ni nani o idaku koto ga dekiru? Why looking for answers, just leaves a question ?